So, what will Twitter's 'long tweets' actually be? 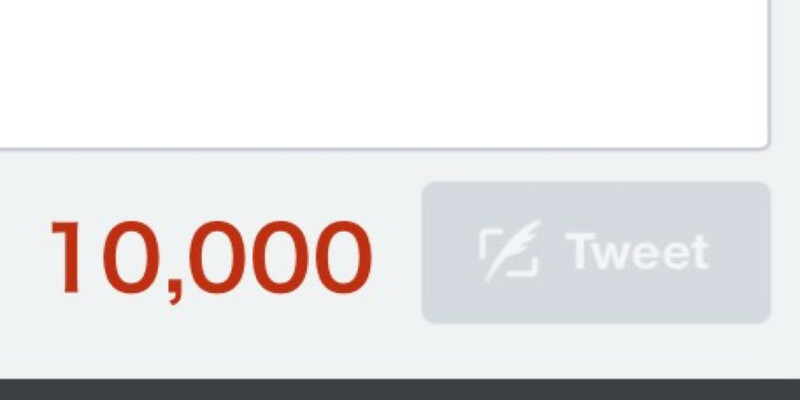 So, what will Twitter’s ‘long tweets’ actually look like? The news that Twitter is considering allowing tweets of up to 10,000 characters in the near future caused a stir this week. That wasn’t just among those who don’t want the platform to change, but also among publishers who fear it might be yet another place for them to have to distribute content to. The accepted understanding is that a ‘long tweet’ would be like an ‘attached article’ you could expand if you choose. In that respect, it’s similar to Facebook’s Instant Articles – content that lives natively on a social platform rather than something you have to link out to. Will Twitter be keen for publishers to post articles natively within tweet, and if so, will it allow them to monetize with ads as Facebook does? Will you be able to add images and videos to long tweets? Will you get a variety of layout options? Will publishers get analytics for who reads these ‘long tweets’ and will they be compatible with industry standard tools like Google Analytics? Again, Facebook offers this. If everyone can post ‘long tweets,’ will it ruin the nature of the platform, or will most people try it a couple of times and then never use it again? By the sound of it, Twitter is still in the ‘kicking the tyres’ stage with this feature. Facebook quietly sounded out publisher reactions to Instant Articles for about a year before the feature was rolled out. It makes sense for Twitter to softly test audience reaction to a major change that would leave Moments in the dust in terms of changing the nature of the platform. Walled garden, front yard or trash pile? If Twitter puts together a strong offering for publishers, you may rarely have to leave the service to get your regular fix of news and opinion. However, if the company leaves it just as a free-for-all with no way of ensuring that people can get paid for sharing good quality stuff, ‘long tweets’ may end up being little more than an ugly notepad used by jokers, spammers and the worst kinds of attention-seekers. And Twitter has enough of a problem with those in 140-character chunks. If Twitter is thinking of long tweets as more of a blogging platform than a premium publishing play, will people really want to use it over of the more fully-featured, elegant Medium? Long tweets may end up being a middle ground – something used when a celebrity wants to make a statement, when someone wants to extrapolate a joke or a conspiracy theory, or a journalist wants to do a quick on-the-scene report – but if it wants publishers to come on board with more gusto and natively publish articles in tweets, there will need to be a lot more on offer than a higher character count. A version of this article appeared in the TNW Weekly newsletter. Sign up to get it in your inbox every Friday.